TO THE TABLE. Meet innovative and trend setting manufacturers and F&B professionals in Asia. Buyer benefits and how it works. 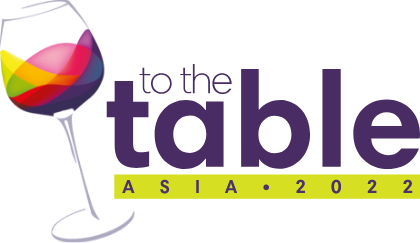 So why would registering as a buyer at TO THE TABLE ASIA 2018 be the best business decision you’ve made this year? " We bring you an approved field of the most innovative, passionate and capable suppliers from around the world. We make sure the suppliers are set up to deliver across the region and can provide you the solutions you need for your business. We ensure the suppliers, manufactures and producers send their top representatives, so they can talk to you regarding specific product details, customisation and delivery, with the company’s authority. These leading suppliers are sourced from all over the world, and at TO THE TABLE you can meet them all in one place, making it time efficient, convenient and distraction-free. One month prior to the event, we give you access to the online directory of attendees, so you can read profiles on all suppliers and choose those you wish to meet at the event. Suppliers also select the buyers they wish to meet, then we create your personalised appointment schedule accordingly. Each meeting lasts 25 minutes, with a 5 minute break in-between. Each supplier has a well-signed meeting point for the duration of the event, you visit them according to your personal appointment schedule and conduct your face-to-face meetings. The meeting room, the Grand Ballroom of the event hotel, is easy to navigate and we have plenty of TO THE TABLE staff to guide you if required. Our Seminar Programme really packs a punch – it’s a lively compelling programme, getting to the heart of the most relevant topics and is delivered by prominent heads of the industry. You can get involved with the discussions in the Q&A time, to pick the brains of these leading experts. TO THE TABLE brings the key characters in your industry together for two days and three evenings - networking opportunities are plentiful, so you really get to know people. It means you build solid relationships for the future. VIEW SEMINARS Valuable content – you will hear from expert speakers on industry-pertinent topics, prepare to be inspired! VIEW ATTENDING BUYERS Interact with your peers from other hotel and restaurant groups - you’re all senior decision makers facing the same industry issues, it’s good to chat!